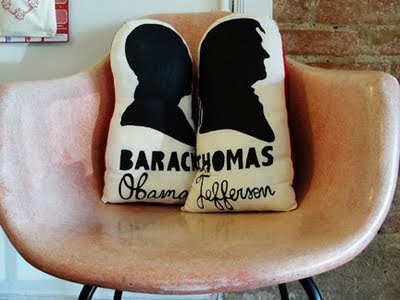 A few of you inquired about the Obama pillow that's popped up in a few of my photos of late... I meant to post it as part of my "Things I Bought Thursdays", but got so excited about my A.P.C. dress and that Tooth Fairy Kit that I completely forgot. You can get them through Little Bean. Just drop Christine a line if you're interested. p.s. 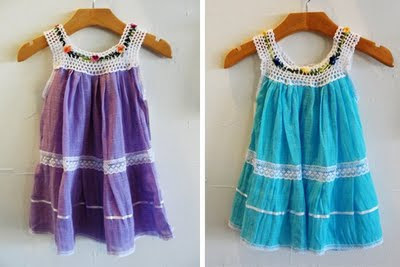 She also has those sweet little crochet dresses that my girlies have been sporting nonstop! Those dresses are so precious! love, love the pillow and those dresses!! Must get this little turqouise dress for the lil' crumb! How darling is the toothfairy kit!! So cute. Love the crochet dresses too, especially the purple. Very pretty. Thanks for the info on the pillow! those dresses are insanely cute!